Susan M. Shimmerlik, PhD, is a psychologist with a specialization in family therapy and psychoanalysis who is on the faculty of the Ackerman Institute for the Family. Currently, she teaches Live Clinical Supervision at the Ackerman Institute where she also teaches a course entitled: Couples Therapy: A Conceptual Map for the Psychoanalytically-Trained Clinician, which looks at couple therapy from the multiple perspectives of family systems, psychoanalysis, and neurobiology. 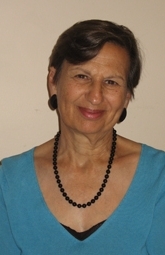 She was a founding member, and for nine years was a faculty member, of the Unique Minds Program, an Ackerman Institute project now located at the New York University Child Study Center, which addresses the development of systemic interventions for families in which a member has a neurobiological disorder. Dr. Shimmerlik was also involved with the Ackerman Institute/Beth Israel Fellowship in Systemic Family Medicine and for several years worked in the Family/School Collaboration Project at Ackerman. Dr. Shimmerlik is a faculty member of the Adelphi University Postdoctoral Program for Psychoanalysis and Psychotherapy. She is also on the executive committee and has taught in the Project in Family Theory and Therapy at the New York University Postdoctoral Program in Psychotherapy and Psychoanalysis. She has written and presented extensively on the integration of psychoanalytic, family systems, and neurobiological perspectives in clinical work. She was a founding member of the Section on Psychoanalysis and Family Therapy of the Division of Psychoanalysis of the American Psychological Association where she served as its President for two years and its secretary for three years. She is also a Member-at-Large of the NYSPA Division of Psychologist-Psychoanalysts and its past Secretary-Treasurer. Dr. Shimmerlik maintains a private practice in family and couple therapy, psychoanalysis, and individual psychotherapy in New York City.